በአሁኑ ጊዜ ይህ ህንጻ በቅርስነት ተመዝግቧል። በአሁኑም ይዞታው ህንጻው ሮያል ኮሌጅን፣ አቢሲኒያ ባንክን እና ካስቴሊ ሬስቶራንትን በውስጡ ያስተናግዳል። የካስቴሊ ቤተሰብ በጣልያን ወረራ ጊዜ በ1928 ዓ.ም. አዲስ አበባ እንደገቡ ይነገራል። ኋላም ጣልያን ካገር ሲወጣ አዲስ አበባ ቀርተው በ1940ዎቹ መጨረሻ ካስቴሊ ምግብ ቤትን ከፈቱ። ታዲያ ይህ ምግብ ቤት በምርጥ የጣልያን ምግብ አዘገጃጀቱ የአለም አቀፍ ተወዳጅነት አትርፏል። ብራድ ፒት እና ጂሚ ካርተርም ሳይቀሩ ስፓጌቲያቸውን በዚሁ ምግብ ቤት እንደጠቀለሉ ይወራል! You are onto something consequential. I can see the hard work that went into putting together this piece of history. Thanks. I am also wondering if there are plans to extend the same treatment to cities such as Jimma, Diree Dawa, aso. 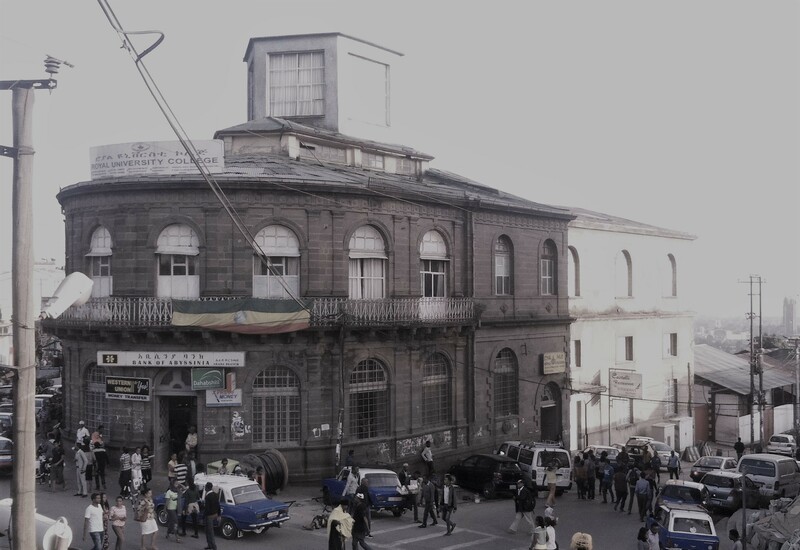 It is one of those rare essays on the architecture of Addis Ababa. I am wondering why I have not yet known you. We gotta read more of your writings. God bless.